Friends of John Turner Day Centre received funding from the ‘Get Suffolk Moving’ fund, for two specially adapted bikes. Suffolk is no different to anywhere else in the country – money coming into the county from central government has been declining. Budgets have been cut and services we all took for granted have been dramatically reduced. But our county may well be fairing rather better than other places thanks to alliances forged between Suffolk County Council, the Suffolk Police and Crime Commissioner, New Anglia Local Enterprise Partnership (LEP) and Suffolk Community Foundation. Quite simply, these statutory agencies have found a way of working with the charity sector that stimulates support and reaches the grassroots, maximising the power of available budgets. 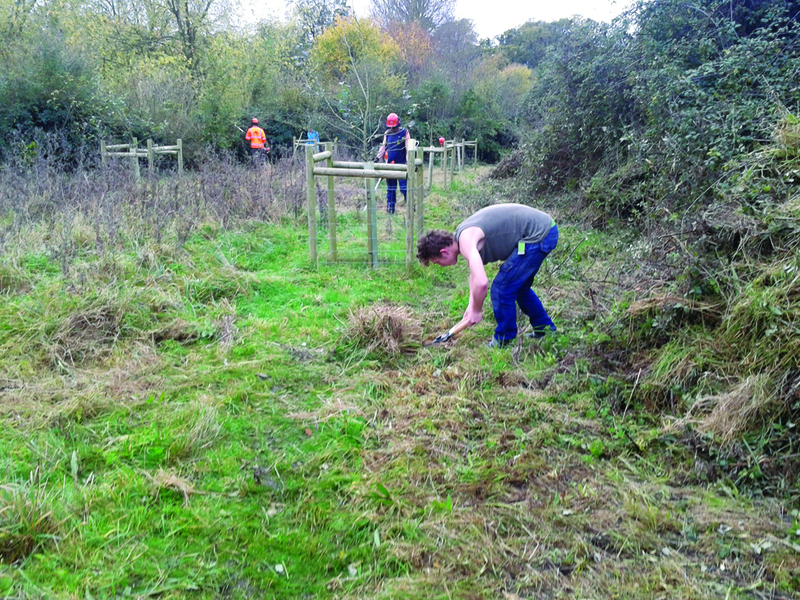 Change is being felt everywhere and current projects have seen more people getting out and about into the Suffolk countryside to improve physical wellbeing, a reduction in crime and anti-social behaviour and help preparing some of the most vulnerable people in our society to return to work. This money, he said, has helped create three funds tackling specific areas through the Raising the Bar Community Fund, Get Suffolk Moving and the Dementia Friendly Communities Fund. Chris Bally explains the reason for working in this way is very much down to everything Suffolk Community Foundation has achieved. 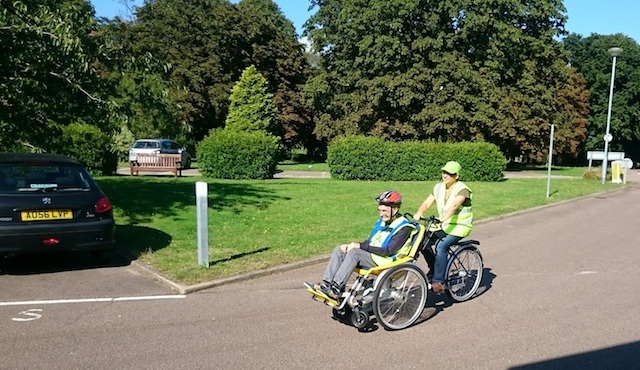 For example, The Lowestoft Community Hub, through The Friends of John Turner Day Centre received a grant from the Get Suffolk Moving Fund to buy two specially adapted bicycles for people with disabilities. Team Leader David Barber explained the bicycles have been purpose-built, one is a three- wheeled tandem and the other is designed to clip onto the back of a wheelchair. “People can hire these bicycles for a nominal charge either for an hour, a half or full day and although we’ve only been going for six months they are very popular. Word has got out. We’ve even had people coming from Norfolk to take them out. Another recipient, from the Raising the Bar Fund, is ActivLives, an organisation which aims to improve the health and wellbeing of people living in Ipswich. As part of their ActivGardens project, it’s launching ‘Grow to Learn’ at Maidenhall Allotments for children and young people – especially those who find it difficult to learn at school. ‘’These may be young people with mental health issues, heightened anxiety or perhaps without the right sort of support at home’’, said Development Manager, Susannah Robirosa. She said that all this will help them gain confidence and self-esteem, they will gain vitally important work, life and social skills, with opportunities to achieve pre-entry- level awards in horticulture and related areas. On another front The Suffolk Police & Crime Commissioner’s Fund has been created by Tim Passmore, Suffolk’s Police and Crime Commissioner, with the aim of helping to solve crime, reduce anti-social behaviour and care for victims and vulnerable people. He says that when he was first appointed he was given a grant from the Home Office and he decided to ask us to administer part of it to help prevent crime. “We know there’s a huge link between social circumstances and anti-social behaviour which in turn gives rise to crime and addiction. for young people – has led to a 50% reduction in anti-social behaviour’’ he said. Among recipients from this fund is The Globe in Lowestoft, a former pub that’s now being used by Access Community Trust as a centre for young people. Development Manager, Patrick Moir said that there’s been an issue of kids and teenagers roaming the streets at night and work at The Globe aims to give them some positive activities to keep them occupied. Currently it’s open once a week offering a range of activities including art, cookery and health related education. He said that they would love to be able to have funds to open another day, as they have access to woodland and would like to run a forest school. New Anglia Local Enterprise Partnership has also been working with Suffolk Community Foundation on the Community Challenge Fund to help disadvantaged people become job ready and gain employment. Chris Starkie, Managing Director of New Anglia LEP said: “Charities and volunteers are at the heart of their communities and actively deliver help to those who need it most. “The Community Challenge Fund has invested £160,000 in eight projects across Suffolk and Norfolk. It aims to help people with a whole range of problems including those suffering from mental health issues to homelessness and people with disabilities. In Suffolk, the fund has supported projects at Suffolk Sport, the Museum of East Anglian Life, Julian Support and Access Community Trust.